This document provides the best available in formation on the time-distribution characteristics of heavy rainstorms at a point and on small basins in Illinois and the Midwest. 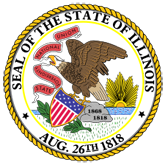 It is recommended for use in conjunction with Illinois State Water Survey Bulletin 70 and Circular 172 for runoff computations related to the design and operation of runoff control structures. It is also useful for post-storm assessment of individual storm events in weather modification operations. Information is presented in the form of families of curves derived for groups of storms categorized according to whether the greatest percentage of total storm rainfall occurred in the first, second, third, or fourth quarter of the storm period. The time distributions are expressed as cumulative percentages of storm rainfall and storm duration to enable comparisons between storms. The individual curves for each storm type provide estimates of the time-distribution characteristics at probability levels ranging from 10% to 90% of the total storm occurrences. Explanations are provided of how to use the results in design problems. 1. Time distributions of heavy rainstorms in Illinois (20060928185026_ISWSC-173.pdf).